The CS82U PS/2-USB KVM switch is a desktop control unit that allows users to access two computers from a single KVM console. 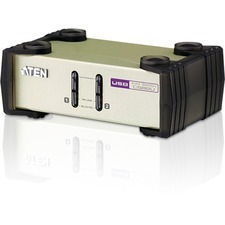 In addition, CS82U comes with ATEN's Video DynaSync technology, which eliminates boot-up display problems and optimizes resolution. 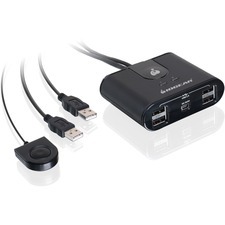 Setup is fast and easy; simply plug cables into their appropriate ports. There is no software to configure, no installation routines, and no incompatibility problems.